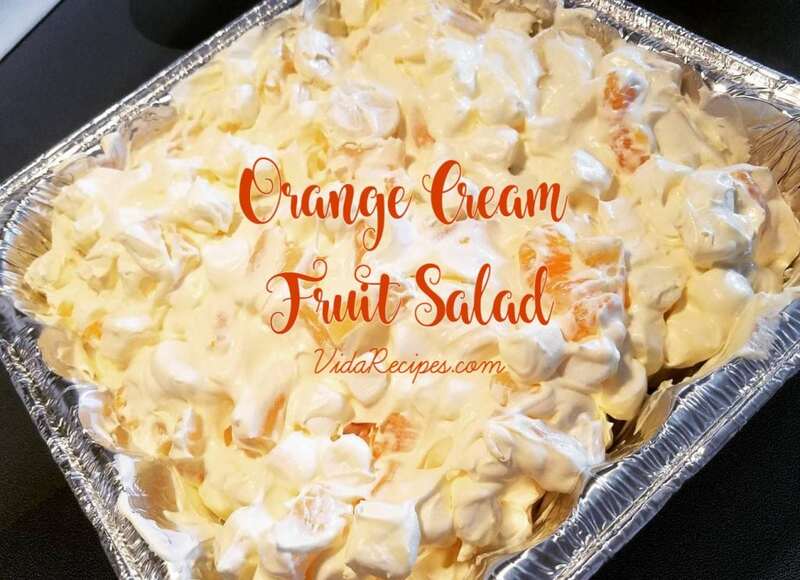 This is an easy dessert to make and a great dish to take to your next pot luck. The fruit is easily interchangeable, add what you like! It’s delicious and the whole family will love it! You can add more fruit to this if you like. You can also add strawberries and mini marshmallows as well. I like to add the colored marshmallows for more interesting cooler If you are adding apples and/or bananas, wait until just before serving to add them so that they don’t turn brown.. Enjoy! Thanks to Amanda Stortz for the recipe! Beat with an electric mixer on medium speed for about 2 minutes and then fold in the Cool Whip. Gently mix in the canned fruit and chill in the fridge for 2-3 hours until ready to serve.